Faces and smiles come in all shapes and sizes, so orthodontic treatment in our office is tailor-made to address the specific concerns of our patients while achieving the most ideal result possible. Q: How do I know if my child is in need of orthodontic treatment? A: It is usually difficult for you to determine if treatment is necessary because there are many problems that can occur even though the front teeth look straight. Also, there are some problems that look intimidating and complex which will resolve on their own. Asking your general dentist is good reference, but we are your best resource since orthodontics is all we do. Our initial exam is complimentary and we would be more than happy to see your child and make any recommendations necessary. Q: What are the early symptoms of orthodontic problems? A: Although determining if treatment is necessary is difficult for you to assess, the following symptoms may help in prompting you to seek our orthodontic advice. Ask your child to open their mouth, and let you look at their teeth. If you see any signs of crooked teeth, gaps between your child's teeth or overlapping teeth, your child may need orthodontic treatment. Ask your child to bite all the way down, but keeping their lips open so you can see their teeth. Do the front top teeth line up with the bottom? Do the top teeth protrude out away from the bottom teeth? Do the top front teeth cover more than 50% of the bottom teeth? Are the top teeth behind the bottom teeth? All these are indicators for potential orthodontic treatment. Look at the alignment of your child's jaw. Does the jaw shift off center when your child bites down? If you see any misalignment or shifting of the jaw, your child may have a skeletal problem which requires early orthodontic intervention. These are only some of the obvious symptoms of orthodontic problems. Q: What age should my child be seen by an orthodontist? A: The American Association of Orthodontists recommends that your child be evaluated by age seven. Early detection of some orthodontic problems is important in order to take early corrective action and avoid more difficult treatment later. A: No. Age is not a factor, only the health of your gums and bone which support your teeth. About 35% of our orthodontic patients are adults and that number is still growing! A: Orthodontic treatment has improved dramatically. As a rule, braces make your teeth sore for a few days, but it is not painful. This annoyance can be relieved with an over-the-counter pain reliever. Today's braces are smaller, more comfortable and use technology that reduces the discomfort. We use the latest in miniature braces and the highest quality of orthodontic materials in order to reduce discomfort and treatment time. Q: Can I still have braces if I am missing teeth? A: Yes. When teeth are missing, adjacent teeth will drift into the empty space. This will cause a functional, esthetic or periodontal problem. Orthodontic treatment will correct and prevent these problems from happening and will also provide proper alignment for your dentist to replace the missing teeth. Q: What is Phase I (Interceptive Treatment) and Phase II treatment? A: Phase I or Interceptive Treatment usually starts while the child has most of their baby teeth and a few of their permanent front incisors. This stage in develpoment is usually about the age of seven. The goal of Phase I treatment is to intercept a moderate or severe orthodontic problem early in order to reduce or eliminate it. These problems include skeletal dysplasias, crossbites and crowding. Phase I treatment takes advantage of the early growth and turns a difficult orthodontic problem into a more manageable one. This may reduce the need for extractions or surgery. Most Phase I patients require a Phase II treatment in order to achieve an ideal bite. Phase II treatment usually occurs after all baby teeth are lost and permanent teeth have erupted. Usually we are waiting for 12-16 more permanent teeth to erupt before Phase II begins. This most commonly occurs at the age of 12 or 13. The goal of Phase II treatment is to achieve an ideal occlusion with all of the permanent teeth. 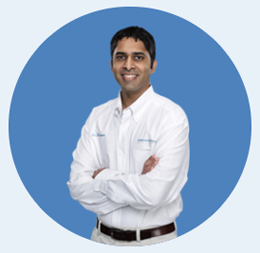 Q: What is Full or Comprehensive Orthodontic Treatment? A: This is another name for orthodontic treatment in the permanent dentition at any age. It is more commonly used when a Phase I treatment was not performed. Q: Does everyone need a Phase I treatment? A: Absolutely not! Only certain bites require early intervention. For most children, it is best to wait until most permanent teeth are in so that a single phase of full treatment can be done with less overall time in treatment and less cost. Q: Can I wait on Phase I/Interceptive Orthodontic Treatment until my child is older? A: Phase I/Interceptive is only recommended if there is a definite need so it is best not to wait. If your child needs Phase I treatment this usually means that he has a difficult problem that requires attention now. If no orthodontic action is taken, treatment options become limited, more difficult, and the long term stability may be compromised. Q: What is the length or duration of orthodontic treatment? A: Braces may be on between 6 months to 30 months, or longer depending on the age of the patient, the severity of the problem, the patients cooperation, and the degree of movement possible. Q: What are extraction and non-extraction therapy, and what are the advantages and disadvantages of each? A: Most patients are treated without extracting teeth (non-extraction). However, removing (extracting) teeth is sometimes necessary when there is simply not enough space to align the teeth properly or teeth are so far forward that they cause the lips to protrude. A: When orthodontic treatment is implemented at the proper time, treatment is often less costly than the dental care required to treat the more serious problems that can develop years later. Orthodontic fees have not increased as fast as many other consumer products. Financing is usually available and our office offers many payment programs that will meet your needs. In addition, many insurance plans now include orthodontics. A: Financial considerations should not be an obstacle to a beautiful smile. Therefore, our practice offers a wide range of payment options. Financing with no interest can often be arranged. In addition, we can arrange a monthly installment plan. Many orthodontic problems require only limited treatment. The cost of treatment will vary, depending on the severity of the problem. Our treatment coordinator will work out a plan suited to your individual needs. For your convenience we take all major credit cards including American Express, Visa, MasterCard, and Discover. We deliver the finest care at the most reasonable cost to our patients. If you have questions regarding your account, please contact us at (407)658-0280. A: While many dental insurance plans now include orthodontic benefits for just a few dollars a month, our office will make every effort to provide you with the finest orthodontic care and the most convenient financial options. To accomplish this, we work hand in hand with you to maximize your insurance reimbursement for covered procedures. If you have any problems or questions, please contact our staff at any time during regular business hours. They are well informed and up-to-date. They can be reached by phone at (407)658-0280. Please bring your insurance information with you to the consultation so that we can expedite reimbursement.